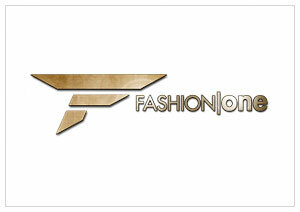 July 30, 2014 New York – From Athens to Bordeaux, London and Lanzarote, Fashion One, the premiere international channel for fashion, entertainment and lifestyle, takes its audience to another holiday destination with fashion correspondent, Stefanie Rycraft Jones. Let's travel to southern Italy across the Amalfi Coast and experience the glamorous and exciting lifestyle with Stefanie's Style Diaries: Capri. In this three part series, travelling fashionista Stefanie immerses herself into the history, culture and arts of this mystical coast. For centuries, intellectuals, celebrities, artists and writers have all become enthralled by Capri's natural beauty. This place has created a legend that is simply incomparable, with its traditional Italian cuisine and breathtaking landscapes. Even with the effortlessly cool cafes and designer boutiques, it has retained its unique charm with winding cobbled streets, grande villas and hotels, roman ruins and rugged seascapes overlooking the deep blue waters and famous grottos. "Capri Island is definitely one of the world's most picturesque island and coastal villages I've ever seen," Stefanie exclaims, "The location itself remains a destination hotspot today for those that want to experience a piece of the real 'Dolce Vita' lifestyle." "Stefanie's Style Diaries, being an insider's travel, fashion and lifestyle guide to rarely featured destinations, takes its viewers to a place in Italy that has always been a popular holiday getaway for celebrities since the 1950's," shares executive producer, Ashley Jordan, "In our commitment to showcase fashion in all aspects of life from around the globe, we look forward to producing more quality original series for our viewers." Stefanie's Style Diaries: Capri premieres on August 19, Tuesday at 21:30 (GMT+8 for Asia / GMT+2 for Europe), exclusively on Fashion One and Fashion One HD. Check your cable operators for your local TV channel listing.